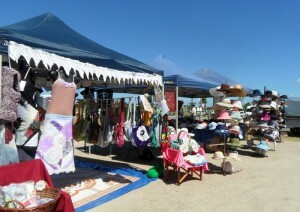 Bribie Island plays host to numerous events and festivals throughout the year. There are also a great range of activity service providers and interesting places to visit while on the Island. Here is a taste of what you can expect from this beautiful part of the world. 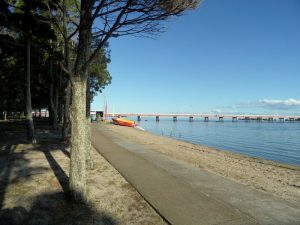 If you enjoy history, visit the Bribie Island Seaside Museum or take a 4WD trek up the beach to the World War 2 Forts. For the avid fishermen enjoy more than 30 kilometres of unspoilt fishing paradise catching Flathead in the creeks, Whiting on the sandbars, Snapper under the bridge and Bream just about anywhere. Boat hire is available just across the road from the resort for either a half or full day. 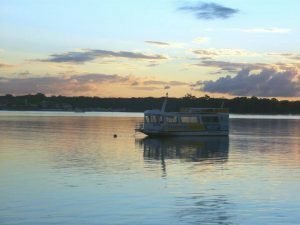 The Ferryman offers cruises down the Pumicestone Passage with tailored packages to suit groups or special events. The Ferryman departs from just across the road from the Sylvan Beach Resort. If your interest is in watching the birds, then Bribie Island can offer the Kakadu bird roost to observe a large variety of birds which visit our island. The Island is very flat and ideal for walking or cycling, along the dedicated paths, to explore the attractions found on the Bay. 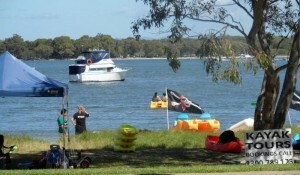 No matter what your preference, there is something for everyone on Bribie Island.